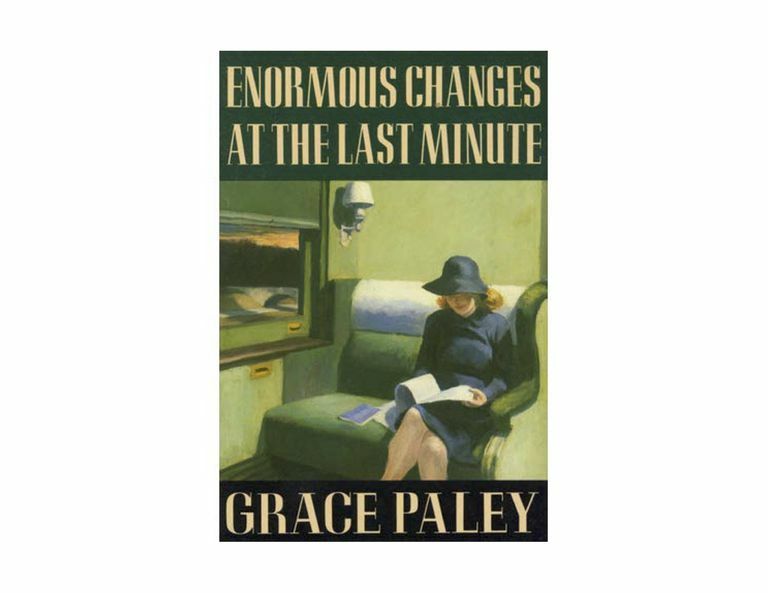 "Wants" by American writer Grace Paley (1922 - 2007) is the opening story from the author's 1974 collection, Enormous Changes at the Last Minute. It later appeared in her 1994 The Collected Stories, and it has been widely anthologized. 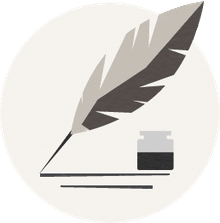 At about 800 words, the story could be considered a work of flash fiction. You can read it for free at Biblioklept. Sitting on the steps of the neighborhood library, the narrator sees her ex-husband. He follows her into the library, where she returns two Edith Wharton books she has had for eighteen years and pays the fine. As the ex-spouses discuss their different perspectives on their marriage and its failure, the narrator checks out the same two novels she has just returned. The ex-husband announces that he will probably buy a sailboat. He tells her, "I always wanted a sailboat. […] But you didn't want anything." After they separate, his remark bothers her more and more. She reflects that she doesn't want things, like a sailboat, but she does want to be a particular kind of person and to have particular kinds of relationships. At the end of the story, she returns the two books to the library. As the narrator returns the long-overdue library books, she marvels that she doesn't "understand how time passes." "That's possible, I said. But really, if you remember: first, my father was sick that Friday, then the children were born, then I had those Tuesday-night meetings, then the war began. We didn't seem to know them anymore." Her perspective starts at the level of a single day and one small social engagement, but it quickly sweeps out to a period of years and momentous events like the births of her children and the commencement of war. When she frames it this way, keeping library books for eighteen years seems like the blink of an eye. The ex-husband gloats that he is finally getting the sailboat he always wanted, and he complains that the narrator "didn't want anything." He tells her, "[A]s for you, it's too late. You'll always want nothing." "I want, for instance, to be a different person. I want to be the woman who brings these two books back in two weeks. I want to be the effective citizen who changes the school system and addresses the Board of Estimate on the troubles of this dear urban center. […] I wanted to have been married forever to one person, my ex-husband or my present one." What she wants is largely intangible, and much of it is unattainable. But while it may be comical to wish to be a "different person," there is still hope that she can develop some attributes of the "different person" she wishes to be. Once the narrator has paid her fine, she immediately regains the goodwill of the librarian. She is forgiven her past faults in exactly the same measure that her ex-husband refuses to forgive her. In short, the librarian accepts her as a "different person." The narrator could, if she wanted, repeat the exact same mistake of keeping the exact same books for another eighteen years. After all, she "doesn't understand how time passes." When she checks out the identical books, she appears to be repeating all her same patterns. But it's also possible that she's giving herself a second chance to get things right. She may have been on her way to being a "different person" long before her ex-husband's issued his scathing assessment of her. She notes that this morning — the same morning she took the books back to the library — she "saw that the little sycamores the city had dreamily planted a couple of years before the kids were born had come that day to the prime of their lives." She saw time passing; she decided to do something different. Returning library books is, of course, mostly symbolic. It's a bit easier than, for instance, becoming an "effective citizen." But just as the ex-husband has put a down payment on the sailboat — the thing he wants — the narrator's returning the library books is a down payment on becoming the sort of person she wants to be.